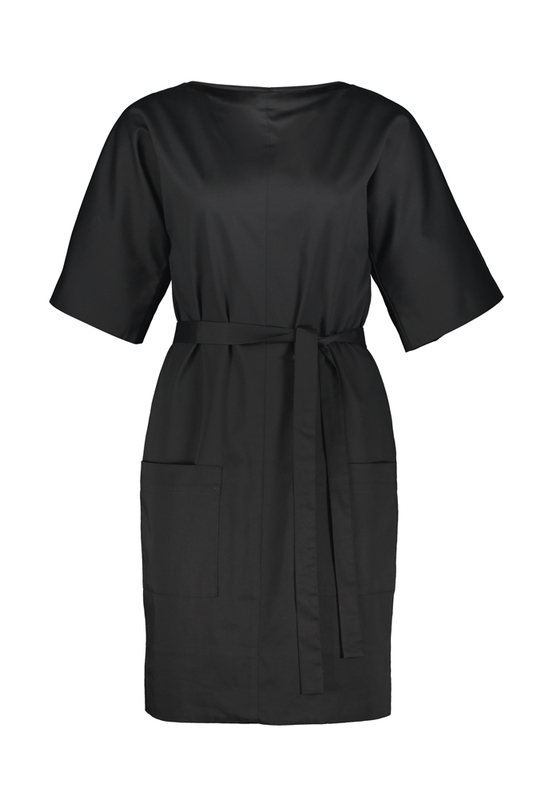 A graphic cotton satin dress with kimono sleeves, front pockets and a full lining. The hem can easily be adjusted for length! Wear it with or without the detachable belt, and dress it up/down for different occasions. Fabric composition: 98% cotton/ 2% elastane. Satin weave.